Mobile marketing is one of the best ways to promote your business whether it’s online or offline. The use of a smartphone is very common these days. 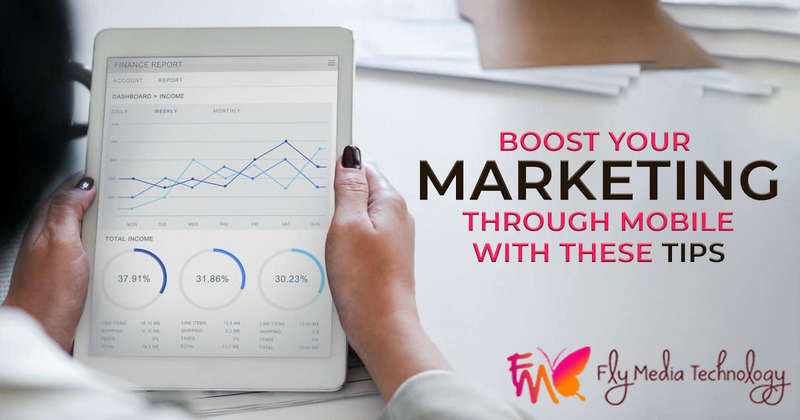 If you properly plan and execute the marketing strategies then it will create a huge impact on the growth of your business. You also need to make sure that your mobile website should appear high in search rankings to increase the visibility of your company. You can use the methods of Search engine optimization, SMO (Social media optimization) and Search Engine Marketing (SEM) to increase the traffic on your mobile website. There are some successful marketing strategies which will help you to increase your customer base and the business. Analyze the behavior of your customer: As technology changes the use of a smartphone is also changing. The young generation prefers to use Android and iPhone. Those are working they prefer to use business phones and tablets. You can analyze your customer behavior by studying the traffic that visits your mobile websites. It will help to know what is their requirements and needs. Use Social media platforms: Make use of different social media platforms like Facebook, Instagram, and Twitter. As most of the people are using these apps on the mobile device. Use can easily place content on these social media platforms which will help you to bring traffic to your website. Use gaming applications: One of the best ways is to advertise through mobile games. You can advertise your brand name, services, and products with the help of mobile games. Try to make advertisements on those games which are trendy and more popular. Use the SMS services: Almost every person uses the mobile anywhere and anytime. The best way is to send SMS to your customers. It also ensures that messages can be read instantly. Advertise through push notifications: Sometimes you see a message that is automatically displayed on your screen. This is called push notification. This is done with the help of a software application. But it is available for only those users who have installed the app. Use location-based services: There are some network service providers who let you advertise your products and services to the users on the basis of location. They fetch user’s information with the help of GPS. Advertisement through Google Adword: With the help of google adword you can target specific mobile devices. In mobile devices, the cost per click is also increasing. Example: If the traffic on your website is coming from Android users, then you should target android user.